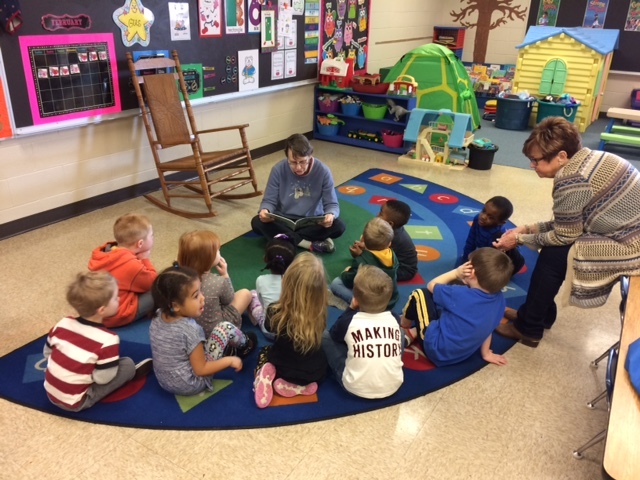 Several residents from Foxbridge Assisted Living and Memory Care Community read books to pre-kindergarten students at Immanuel Lutheran School on February 8th. The students were very attentive and asked interesting questions about the stories and pictures as they were being read to. The thoughtfulness and compassion of the residents was readily apparent as they read from the heart with smiling faces. You could see from the interaction how blessed the students and residents were to have had this opportunity to experience life together. Immanuel is grateful to be engaged with Foxbridge in loving our neighbor and serving our community.